Working alongside our colleague and friend Chris Jefferson, IWM Duxford, it has been an exciting opportunity to design and manufacture two inspirational STEM-related aircraft projects. 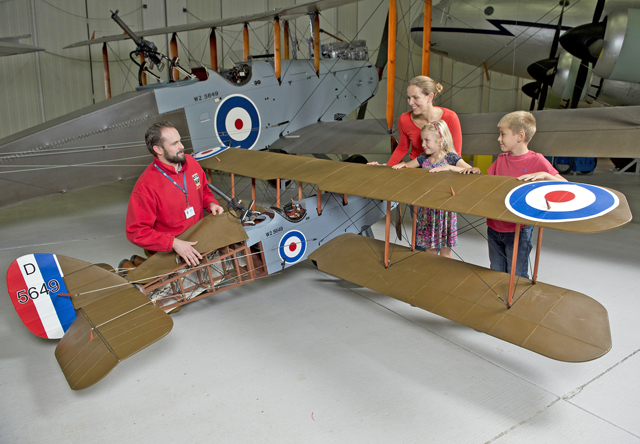 Telling the story from the birth of wartime aviation to the era of high altitude pressurised flight these models provide an educational platform to demonstrate to student groups the design, construction and the principles of flight. Produced in lasercut ply, canvas, GRP, steel and aluminium both feature around 40 different components. As can be seen in the gallery photos the aircraft are of impressive size and have undergone many hours of assembly and breakdown in the hands of hundreds of students and teachers UK wide.